Dubai: A decade ago, Kuala Lumpur had the distinction of being the undisputed leader among the global Islamic finance hubs. The launch of Dubai International Financial Centre (DIFC) in 2004 marked the birth of a new hub in the Middle East. Dubai’s ambition got a new boost in January this year when the government declared its intention to make the city the global capital of Islamic economy. The Emirate’s new plan comes from Shaikh Mohammad Bin Rashid Al Maktoum, Vice President of the UAE and Ruler of Dubai, and has the involvement of government departments at the highest level. Dubai’s initiative has triggered a flurry of activity across major global financial centres, all working towards a strategy of getting a share of the Islamic finance pie. From early March UK initiated a global push to boost the prospects of London. Not to be left out, Malaysia is in the process of finetuning its regulations to get more overseas participation in its Islamic financial markets. London has been nurturing its ambition of becoming the western hub of Islamic finance for some time. At the first World Islamic Forum outside the Muslim world in London in October, British Prime Minister David Cameron could not keep London’s plans discreet. “I don’t just want London to be a great capital of Islamic finance in the Western world, I want London to stand alongside Dubai and Kuala Lumpur as one of the great capitals of Islamic finance anywhere in the world,” Cameron told the gathering of more than 1,800 political and business leaders dubbed as the ‘Davos of the Muslim world’. Obviously, there are others who too want a share of this fast-growing segment of financial services business. Two weeks ago, Hong Kong declared its intention to sell its debut sukuk to spur the city’s development as an Islamic finance hub. “The territory will offer the (Islamic) notes under the Government Bond Programme,” Au King-Chi, permanent secretary for Financial Services and the Treasury, said in a statement published on the government’s website.The UK government has thrown its full weight behind London as a contender for the Islamic finance hub by announcing its intention to issue its first sovereign sukuk (Islamic bond). Of course, the story doesn’t end there with just London entering the fray and gradually usurping the throne from the current two strong contenders. Hong Kong is certainly eyeing the global potential of Islamic finance, but its immediate focus is on its captive market — China. Analysts say Hong Kong is in a hurry to define its niches before Shanghai, China’s new financial centre, becomes a threat to its dominance in the region. “Hong Kong is a gateway to greater China, so this (sukuk) issuance would be very well-watched. A single issuance won’t give any country the title of Islamic finance hub, but we are seeing more non-Islamic jurisdictions stepping into the fray, which bodes well for the industry.” said Raj Mohammad, managing director at Five Pillars Pte, a consulting company in Singapore. Singapore has been nurturing the ambition of becoming a new regional centre for Islamic finance — in direct competition with Malaysia and Indonesia for global capital flows. As an international financial centre, Singapore is keen to play a role in Islamic finance by leveraging its capabilities and credentials in wealth management, project financing and trade financing. The government has undertaken several initiatives in areas such as taxation, capital markets, REITs, Takaful insurance, and Islamic equity indexes, in order to improve Singapore’s attractiveness for Islamic finance. DBS Bank took the lead in 2007 and launched the Islamic Bank of Asia to focus on corporate capital markets and private banking services. “Singapore’s strategy is based on the understanding that it cannot be a truly global financial centre if it does not offer Islamic financial services. 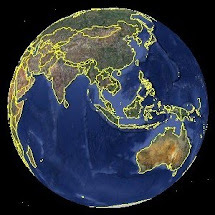 Proximity to Indonesia, a major market for Islamic finance and relatively smaller size of Singapore’s domestic market seem to be pushing it to seek a share in the Islamic finance,” said Ketan Shah, an analyst at Orion Financial Consulting in Hong Kong. 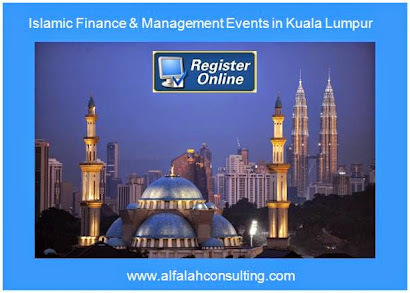 Over the past few decades after the Asian financial crisis, Malaysia has emerged the Islamic finance centre for Asia with smart regulation and a growing ecosystem around Islamic finance. 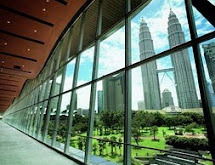 Approximately 70 per cent of Malaysia’s domestic debt issuance is in the form of sukuks, making it the world’s largest Islamic bond market with more than 60 per cent of global sukuk issuance originating from Malaysia. According to global rating agency Standard & Poor’s, issuers are likely to seek alternatives to conventional financing, given the uncertain outlook for global credit markets. Islamic finance is one such alternative. “Infrastructure projects are a logical fit for Islamic finance for two reasons — the Islamic finance market is growing and deepening; and Sharia (Islamic law) governs Islamic finance and is based on the concepts of asset-backing and shared business risk,” S&P said in a recent note. “Malaysia’s role in creating a well-regulated market with significantly high number of issuance is well recognised in the industry. In that respect, all new centres will have a lot of catch up to do,” said Khalid Howladar, senior credit officer at Moody’s Investors Service. 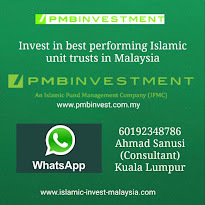 Malaysia pioneered the use of Sharia-compliant sukuk bonds to fund infrastructure projects and is the leader in Islamic financing. The key issue for this market, in our view, is that a lack of standardisation constrains sukuk issuance. It also deprives the market of an organised structure to facilitate secondary trading and liquidity. Malaysia has challenges, too. 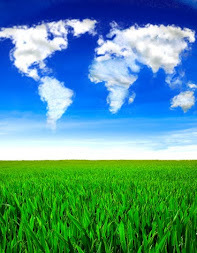 Corporate governance standards are moderate and the enforcement of governance practices could improve. Shareholder activism is limited and corporate scandals far too frequent. While the law provides for creditor protection, the process for enforcing legal claims can be protracted. These issues should be easy to fix, provided they are approached with vigour and zeal. London is leveraging on its preeminent position a global financial centre for conventional finance. It believes that its global banking linkages and close association with traditional markets for Islamic financial services could be translated into emerging as a new global Islamic financial services hub. London has led in attracting issues by big international companies because of the massive size of its conventional financial markets and its globally respected legal system. Strategically located in the oil-rich Gulf region, Dubai sees opportunities in becoming a global hub for Islamic finance starting with being a financial centre for Middle East, North Africa and sub-Saharan Africa. Dubai has already started its efforts in earnest to convince the regional issuers list their sukuk here. Analysts say Dubai won a victory this month when the Jeddah-based Islamic Development Bank, which has long operated sukuk issuance programmes in London and Kuala Lumpur, said it would set up a $10 billion programme on the Nasdaq Dubai exchange. Besides Dubai, in the GCC there are at least three other cities such as Bahrain, Qatar and Riyadh that are angling for a share of Islamic financial services business but with limited success.